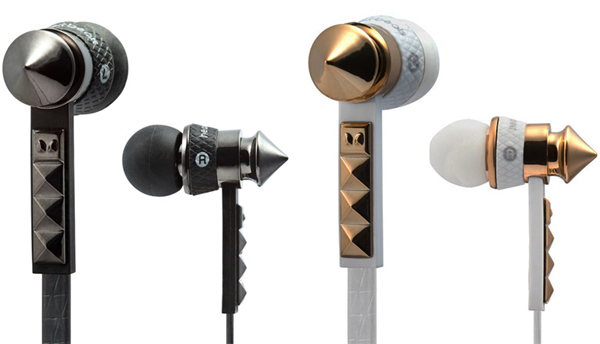 Monster has teamed up with Lady Gaga once again to release a brand new pair of fashionable pair of in-ear headphones. The Heartbeats 2.0 with ControlTalk will replace the more girly, original Hearbeats By Lady Gaga. Lady Gaga has designed these herself, not surprise here. Her inspiration? Those pointy studs on her leathery outfits. The new Heartbeats 2.0 by Lady Gaga will be available in two different colors for $149.95, and promise to deliver you with distortion-free music that is extremely clear and has a deep bass performance. Other features such as a flat, tangle-free cable and SportHooks will help you rock it out even harder. Monster has yet to announce when these should be available to purchase.